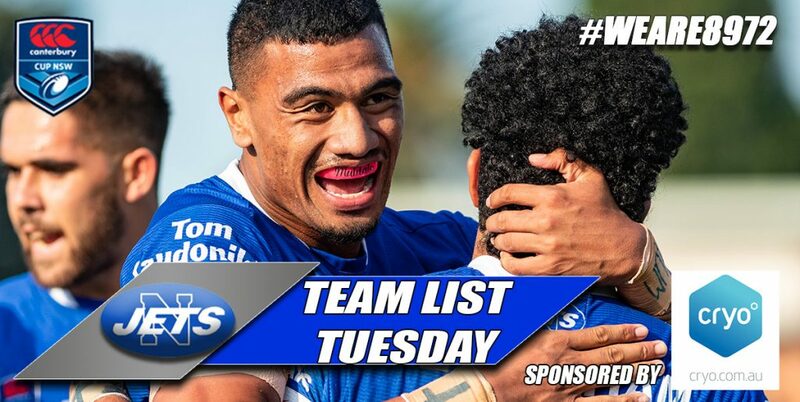 Newtown winger Jacob Gagan was in top form against the Canterbury Bulldogs at Belmore Sports Ground on Friday night. Two of his Jets team-mates Malakai Houma (on the left) and Fa’amanu Brown are also in this action shot taken by Mike Magee. Photo: Michael Magee Photography. Jets stretched to the limit by energised Bulldogs. 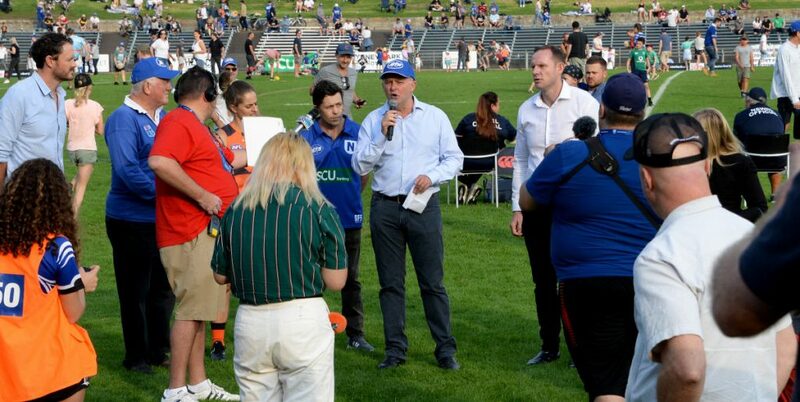 Report on the Intrust Super Premiership NSW 6th round match between Canterbury-Bankstown and Newtown, played at Belmore Sports Ground on Friday, 8th April 2016 by Glen ‘Bumper’ Dwyer. 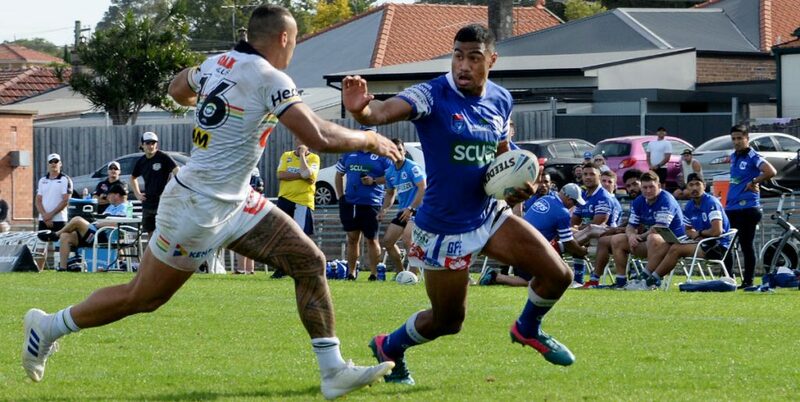 Coming off their impressive victory at Henson Park on the previous Saturday, the Newtown Jets showed another dimension to their capabilities in their 28-22 win against Canterbury-Bankstown on Friday night. The Jets looked to be in real trouble when they trailed 18-0 midway through the first half in this Intrust Super Premiership local derby at Belmore Sports Ground. The Bulldogs had denied Newtown several try-scoring chances in the first half, but the Jets claimed an unconverted try through five-eighth Josh Cleeland right on halftime. Following a frank assessment of their listless first half performance from coach Greg Matterson, the Jets turned on two converted tries to trail 18-16 just ten minutes into the second half. The game then remained in the balance, but Newtown pulled ahead 22-18 at the sixty-minute mark when strong-running winger Jacob Gagan scored his second try, thanks to a well-directed cut-out pass from Jaline Graham. It wasn’t until five minutes from fulltime that the Jets made the result reasonably secure, when Josh Cleeland scored his second try to extend Newtown’s lead to 28-18. Even then Canterbury scored a unconverted try that gave the Bulldogs an outside chance of pulling off a belated draw. Canterbury had clearly come into this match in the mood to cause an upset. 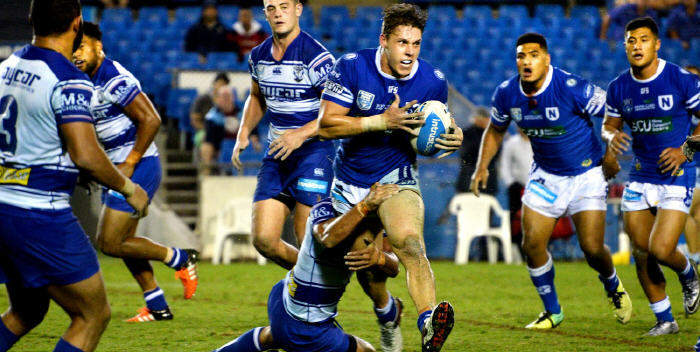 The Bulldogs might have been at the bottom of the ISP NSW competition table, but they had drawn against Newtown in the first round at Henson Park and had been narrowly defeated in two other games. They employed all the right stratagems to slow Newtown’s game down and to stifle the Jets’ scoring potential. Newtown had gone close to scoring three times in the first half before five-eighth Cleeland displayed strength and guile to score a morale-boosting try right on halftime. Coach Matterson congratulated the Jets on their second half fightback against a team that was really fired up to end their run of narrow losses. 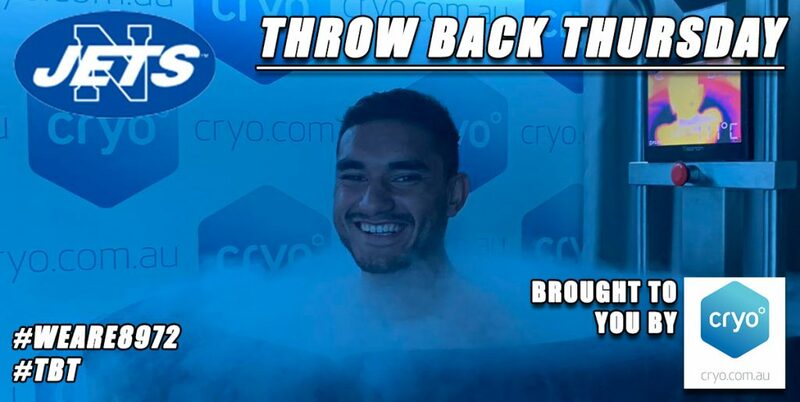 Matterson said that the win was an important learning experience for the Newtown team and he especially commended young forwards Kurt Dillon and Malakai Houma for their wholehearted ball-running. Five-eighth Cleeland was also favourably mentioned, along with cunning halfback Fa’amanu Brown for his second half try from dummy-half and his two conversions from the sideline. While this win puts Newtown into clear second place on the ISP NSW competition table, the Jets now confront a tough run of fixtures against several clubs who occupy the top half of the ladder. 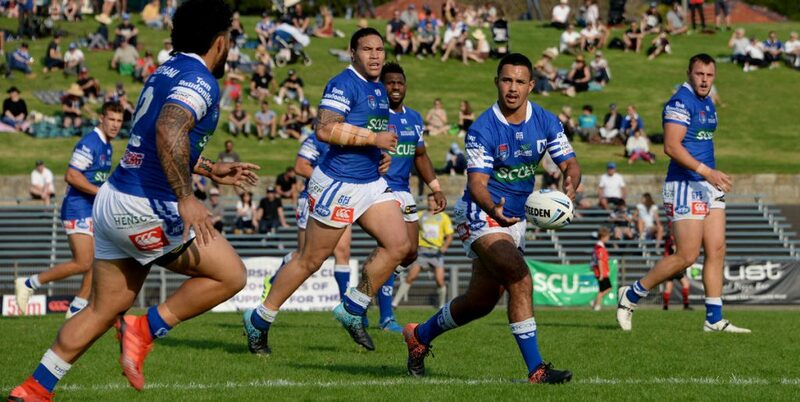 The Newtown Jets travel away this Saturday (16th April) to WIN Stadium, Wollongong where they will take on one of this season’s most-improved teams, the Illawarra Cutters. 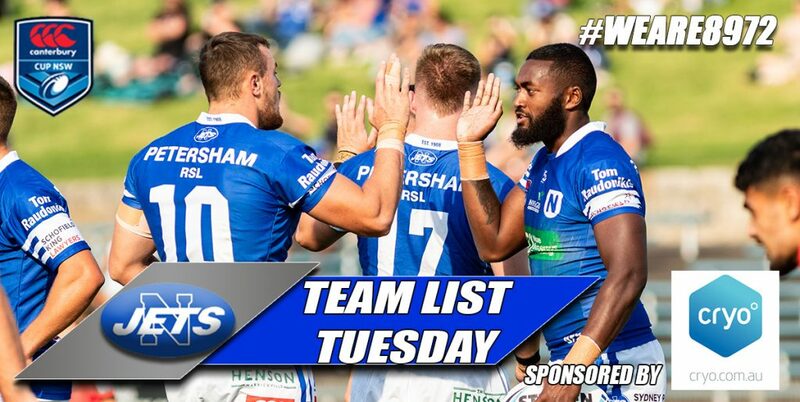 This round seven ISP NSW match gets underway at 3.00pm.